The term "Filial piety" itself is already difficult to pronounce. In traditional Chinese families, this particular concept rules supreme. It is this single principle that holds the families together, thereby binding the society to hold itself, and ultimately protecting the whole race and the nation. In traditional Chinese society, the family unit comes first. When the family units are well-ordered, the society at large will become well-organized. This will embrace the whole nation to live in harmony. Filial piety is the epitome of Confucius ideals. If families cannot stay united, the whole structure of society will disintegrate. The basic idea is that the head of the family rules supreme. 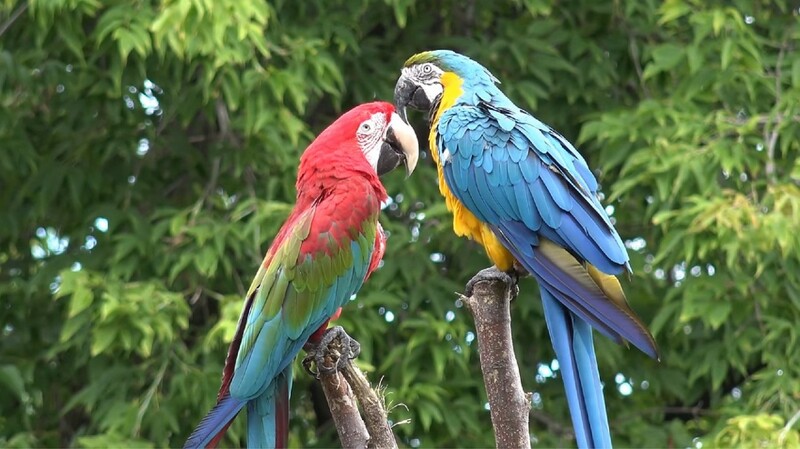 All siblings are accorded their positions in the family; the elder being the most senior, and the males take priority in all affairs. "Filial piety" is the unquestioning obedience to parents. Apart from that, it is decreed that children must take care of their parents in their old age. Anyone who neglects to take care of one's parents should be ashamed of oneself. As societies change, values will inevitably change too. 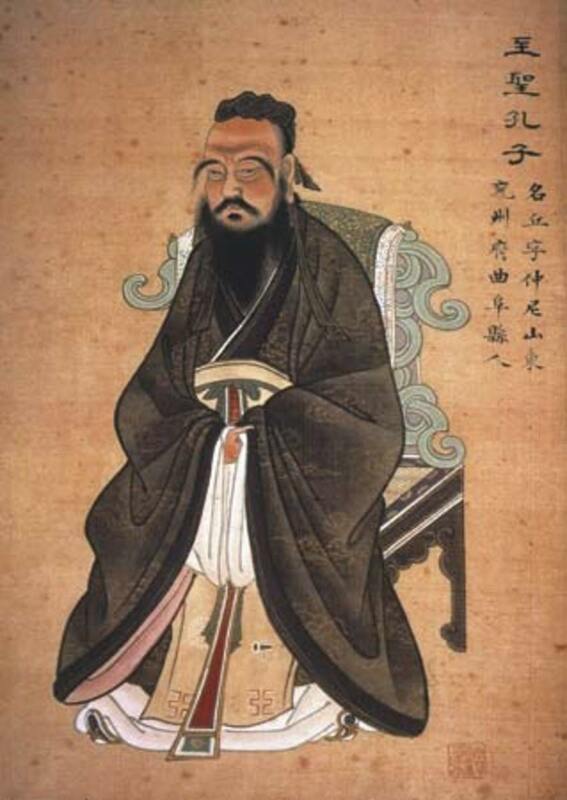 The Confucius ideal of filial piety has also been diluted and compromised. The saddest thing in a person's life is to be neglected by one's own children come old age. Here is an interesting story of how two brothers built a three-wheeler push cart in order to take their 81-year old mother for a long vacation. This old lady was promised by her husband of a holiday across China. But unfortunately the husband died without fulfilling his promise. 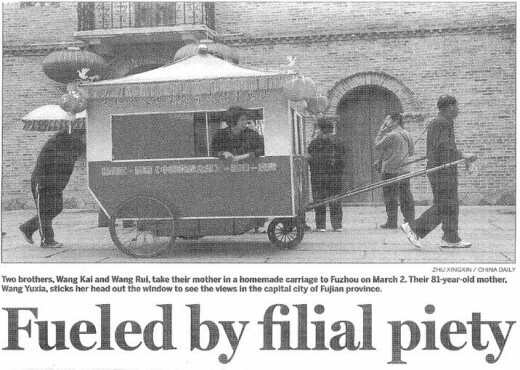 So the two sons took it upon themselves; built a 3-wheeler push cart; and literally "pull-and-push" the cart, taking their old mother for a tour of China; final destination Taiwan. And the sons are not young too, at 57 and 59. The brothers even gave a name to the push cart, "Thanksgiving" as expression of deep gratitude for their mother's love.